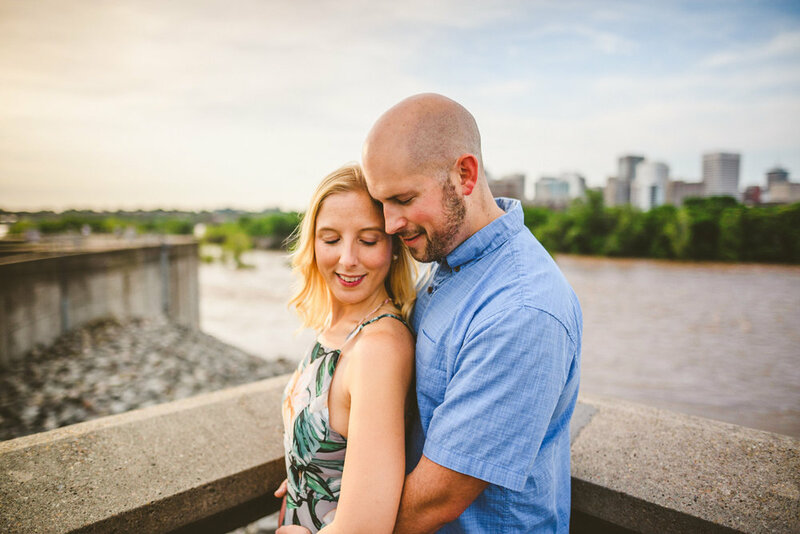 Amanda + Jason met up with me at Floodwall Park in Richmond Virginia, and we explored the small park and gigantic floodwall, with its epic views of the James River and downtown Richmond City! It was warm and wonderful, sunny and not too hot. And yes they brought their dog along! I loved spending some time with these two and getting to know them a bit! 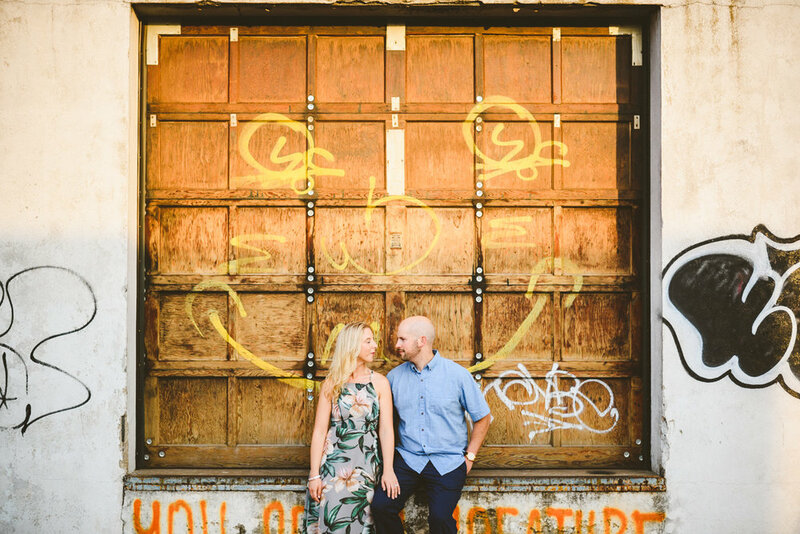 Amanda + Jason are spunky and adventurous, and their love for each other is evident just looking at them. 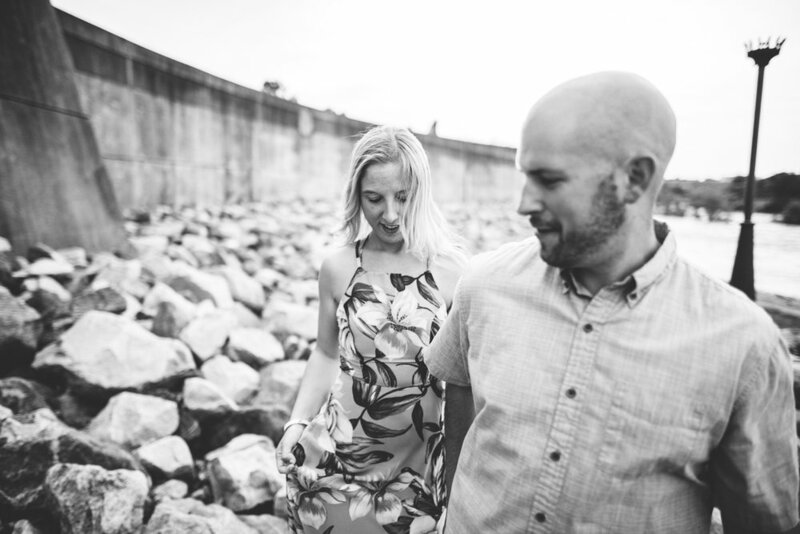 After Floodwall Park we made our way over to Scott's Addition and walked around exploring for a bit before stopping by Ardent for a few beers, which speaking of, I'm going to recommend beers during all future engagement sessions. It's...the right thing to do. 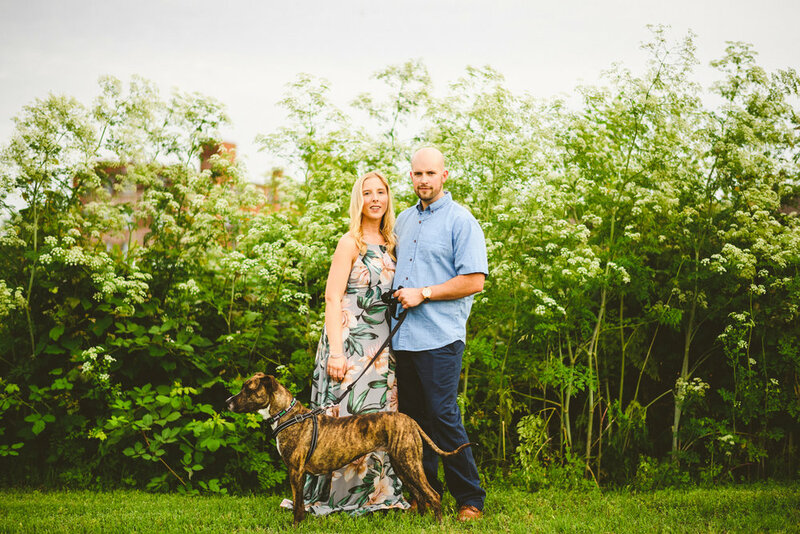 Their wedding isn't until next year, but I'm already excited for it!